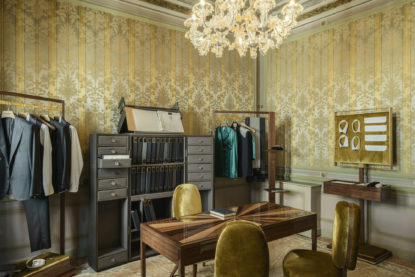 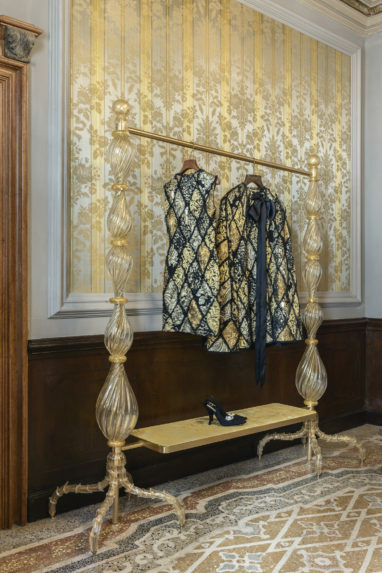 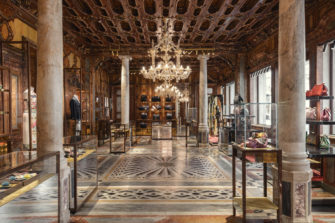 Eric Carlson and his Paris based office CARBONDALE set out to create a different retail experience that customizes and enhances the cultural values and traditions of Italian quality and authenticity shared by both Dolce&Gabbana and the city of Venice. 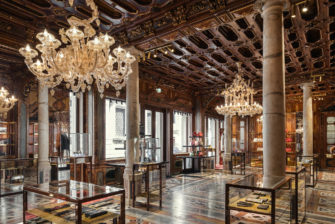 Eric explains, “Venice is not a shopping destination, it is a cultural destination, where visitors from across the globe come to explore an array of cultural traditions from magnificent Gothic structures, to the International Mostra film festival, the Art and Architecture Biennale’s and of course Carnival. 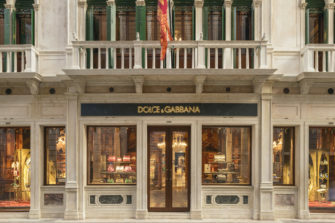 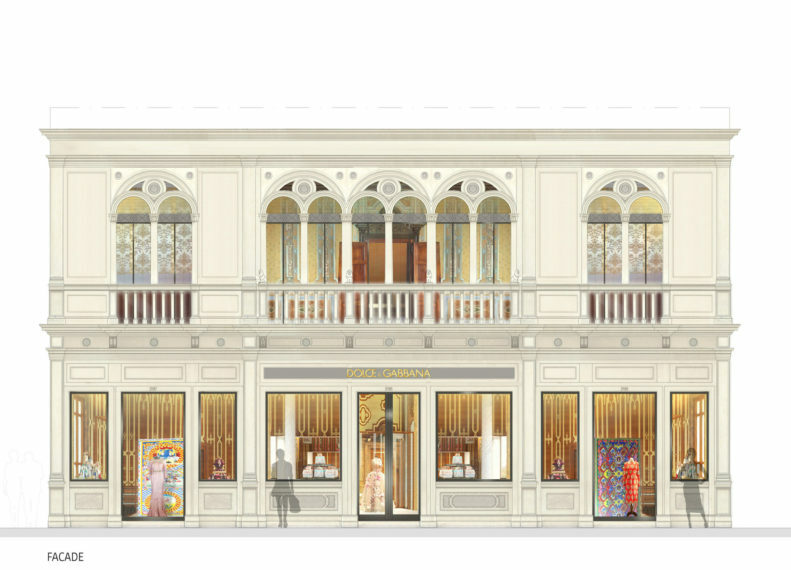 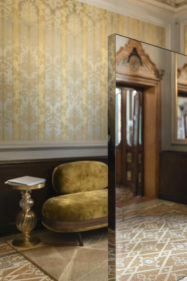 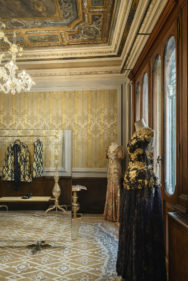 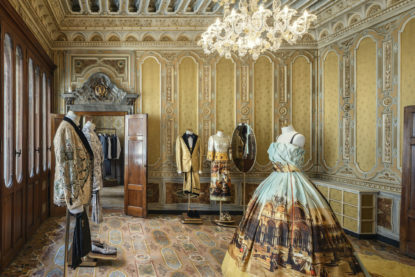 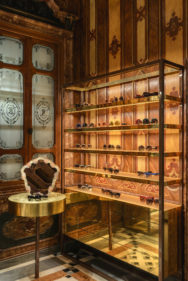 Therefore, our design strategy was to create a Dolce&Gabbana store as a culture destination.” This was achieved by meticulously restoring the historical Palazzo Torres façade and remarkable spaces lavishly detailed with intricately carved dark wood walls and ceilings and elaborately patterned inlay mosaic stone floor creating a sumptuous and overwhelming ambiance. 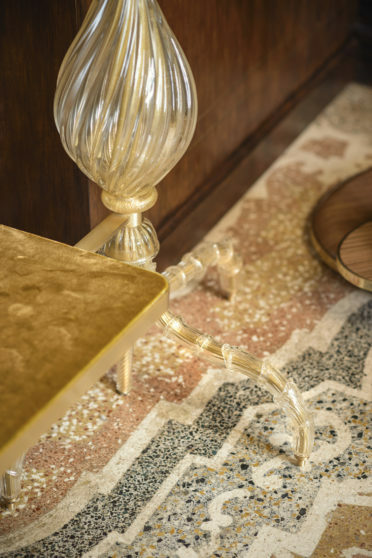 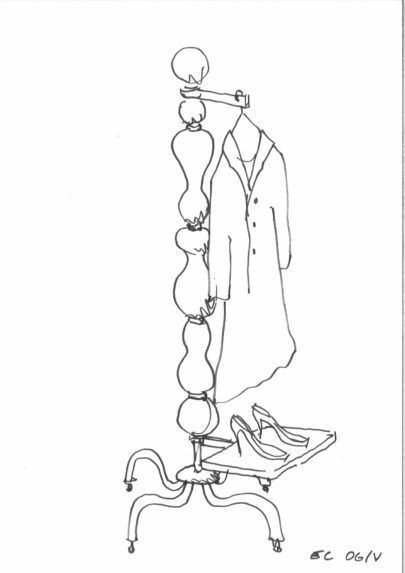 The contemporary furniture is delicately designed to disappear by reflecting and accentuating the historical interior envelope in it’s polished mirror and brass surfaces. 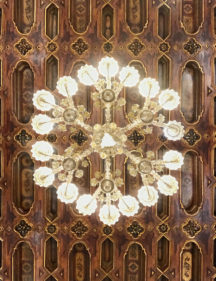 The 1880 historical construction was designed by the Venetian Architect and Sculptor Giuseppe Torres in the neo-Venetian renaissance style. 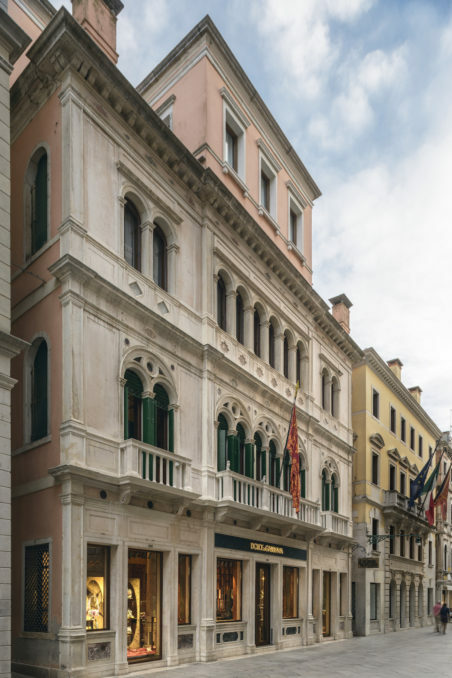 The restoration includes the façade, the former ground level bank volume and a 2nd level private residence, a commitment to the Venetian artistic heritage & craftsmanship and a challenge supported by Save Venice and the Venetian Heritage associations.